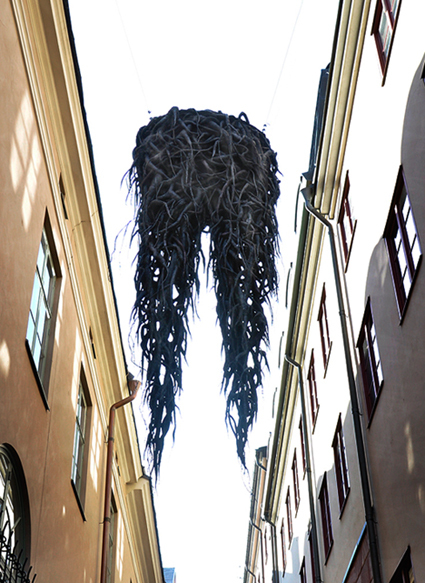 Conjoined roots is a hanging sculpture made of waxed textile. While developing it I used two basic concepts. “Jus soli” and “jus sanguinis” are translated to “earth right” and “blood right”. They are principles for determination of citizenship. Jus soli decides that citizenship is acquired automatically when a child is born in a particular country. Jus sanguinis means that the parents citizenship determines which one the child gets. The principles are used in different parts of the world. The two branches (the legs) symbolizes the concepts. Legs are a body part that is used for movement, and the root is anchored. 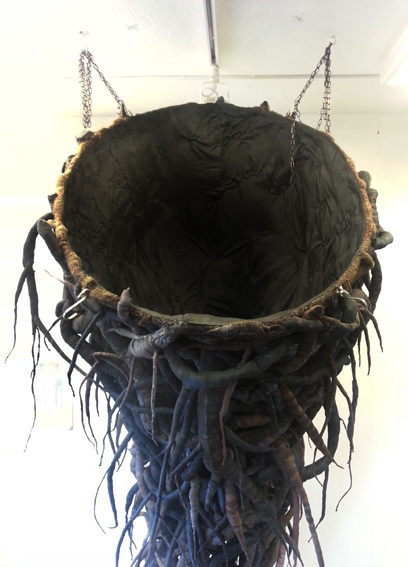 Conjoined refers to be assembled to unite. 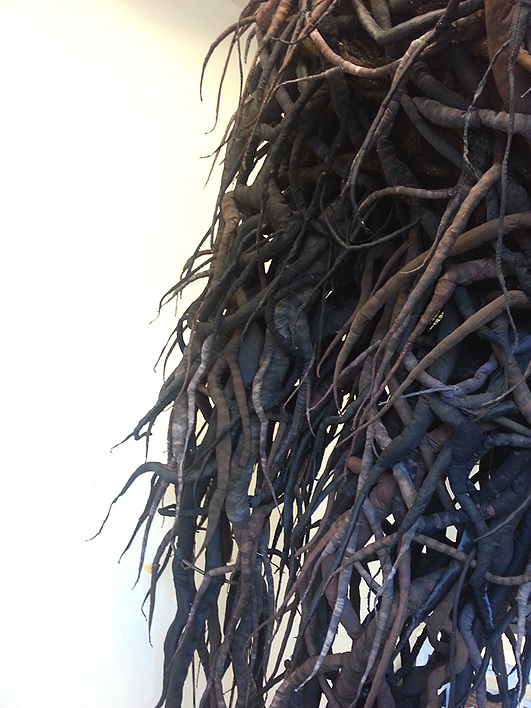 Roots tell us about belonging.